Lots of flowers coloring the natural landscape. I always take photos of these beauties to share to those appreciating seeing them. watershed areas such as marshlands and along streams. 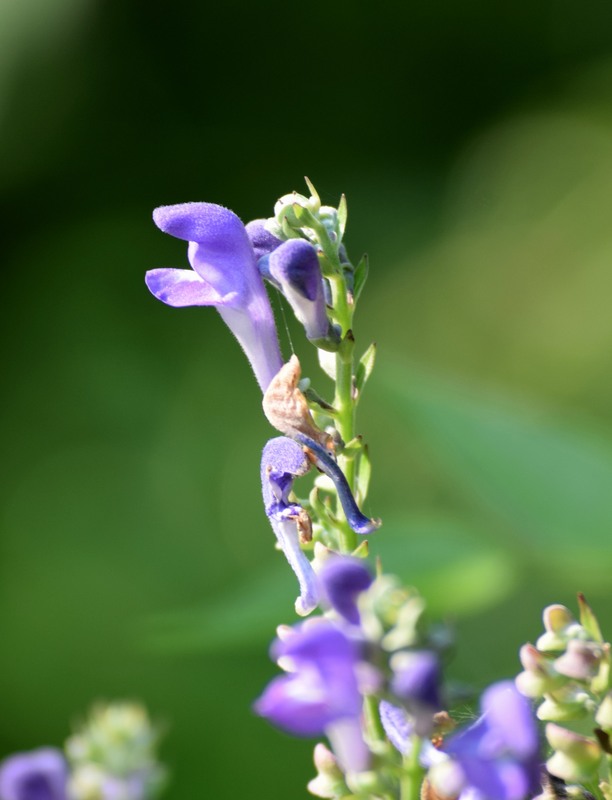 The Downy Skullcap doesn’t have a name that sounds very attractive, but the flower is attractive in it’s unique way. The plant has these blue flowers on a stalk reaching three feet high. 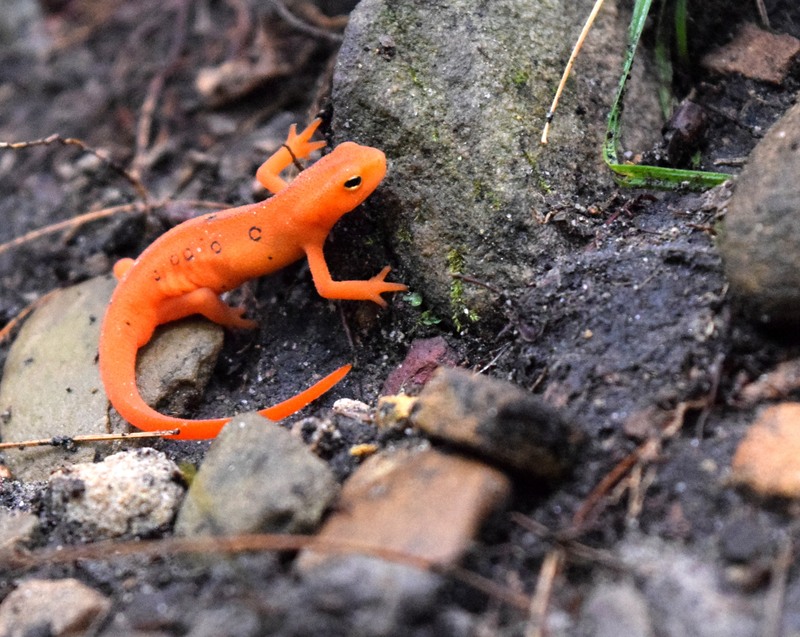 Common in western Pennsylvania in woodlands and clearings. The Blue Vervain, shown above, grows as high as three feet. Individual flowers are dainty. 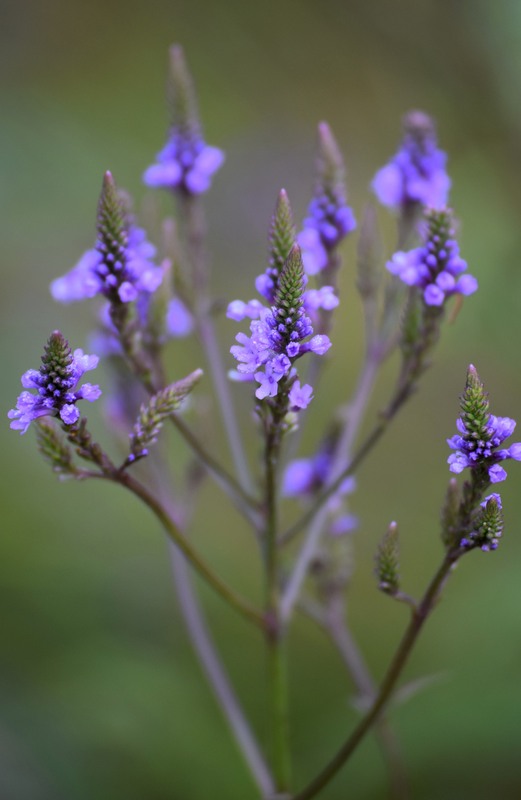 The Blue Vervain is found in damp areas and field edges or abandoned fields. 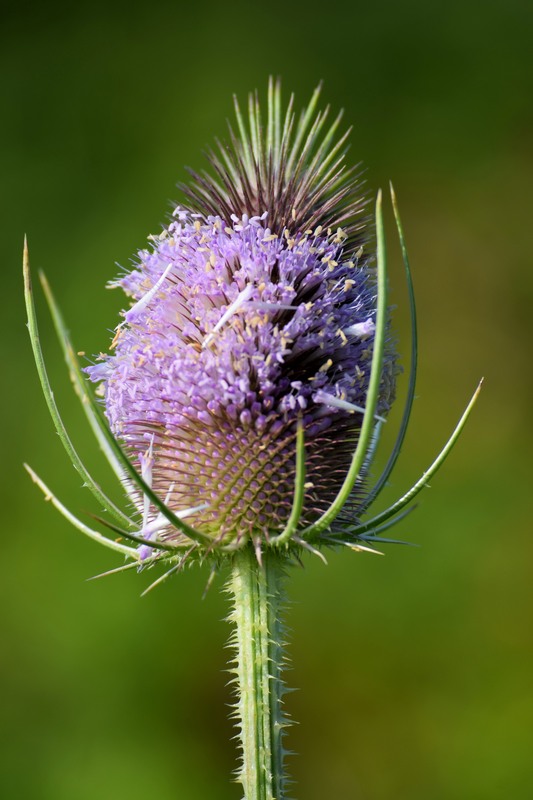 use for Teasel is the dried flower head is often used in crafts such as decorative wreaths and such. 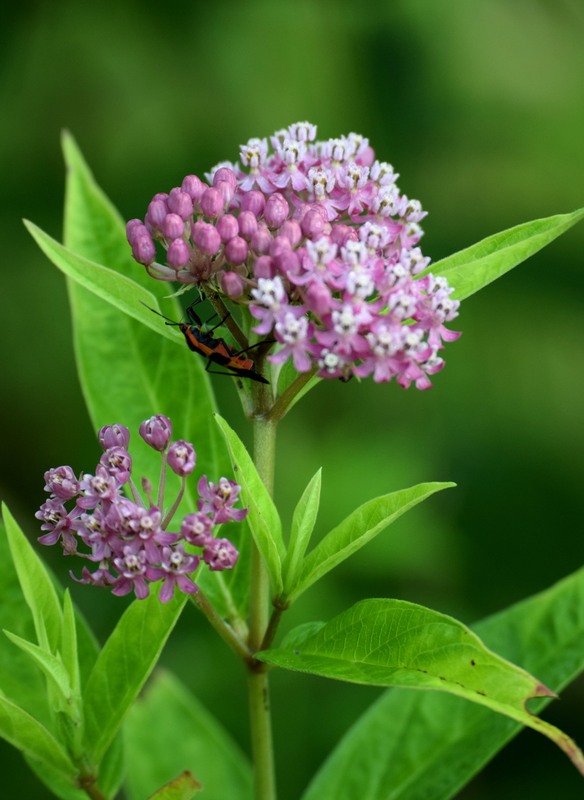 The Swamp Milkweed can grow up to six feet, but is most commonly found at two or three feet high. 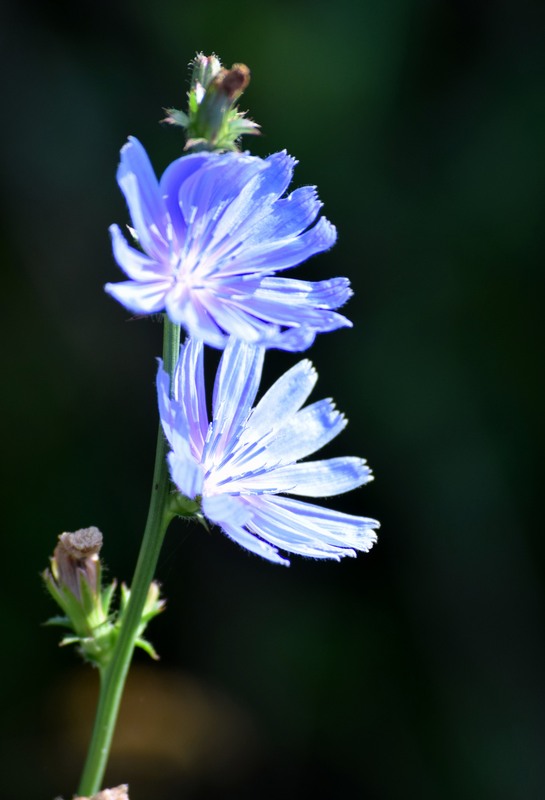 Chicory is a vivid blue flower that was, also, introduced to Pennsylvania. 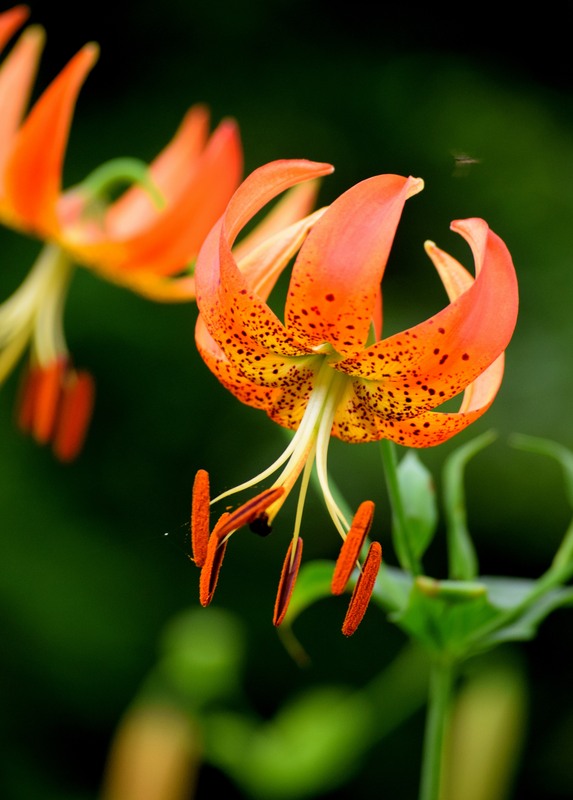 These flowers grow along roads and waste areas. 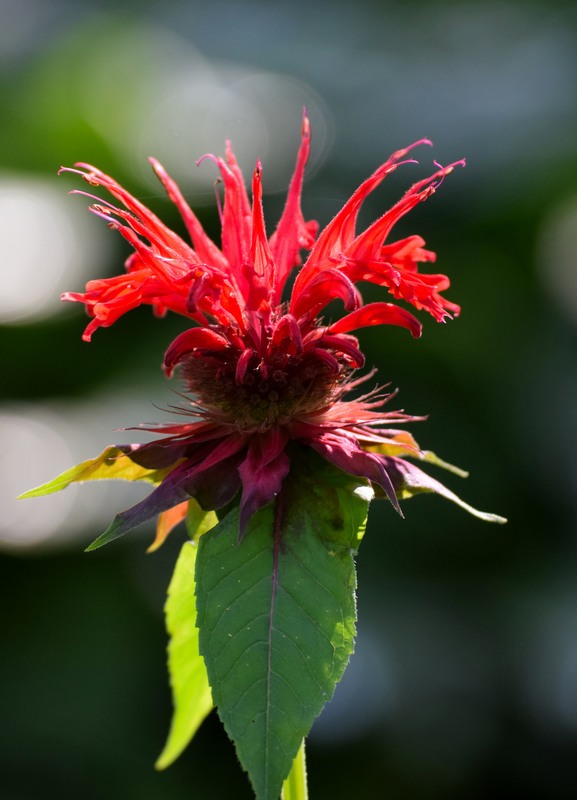 Bee Balm, or Owego, is a plant that can be used as a tea. 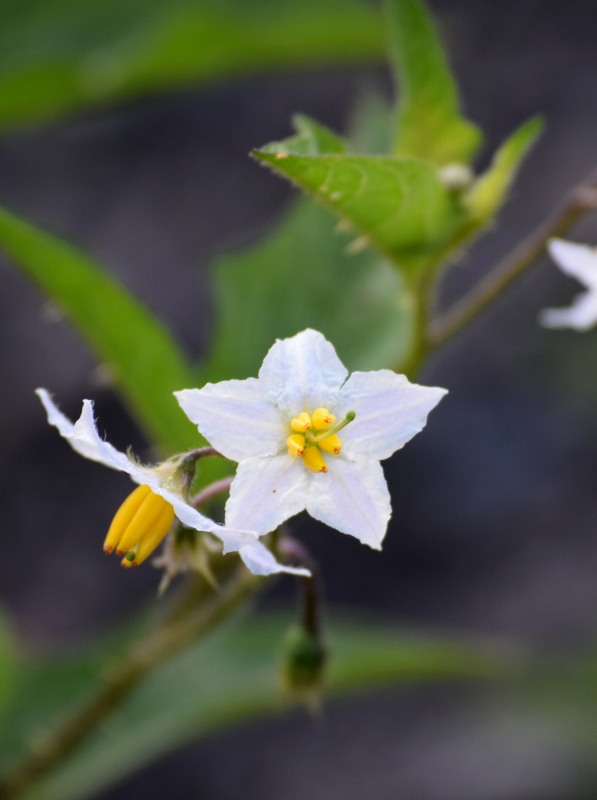 This flower is often discovered in damp areas near streams. I guess I spoke words similar to those in the title upon seeing the nice Muskie leap totally out of the water two times! At least, that is what my friend, Frank “Muskie” Maus told me afterwards. We entered the waters of the Allegheny River about seven this morning fishing for the elusive Muskellunge. 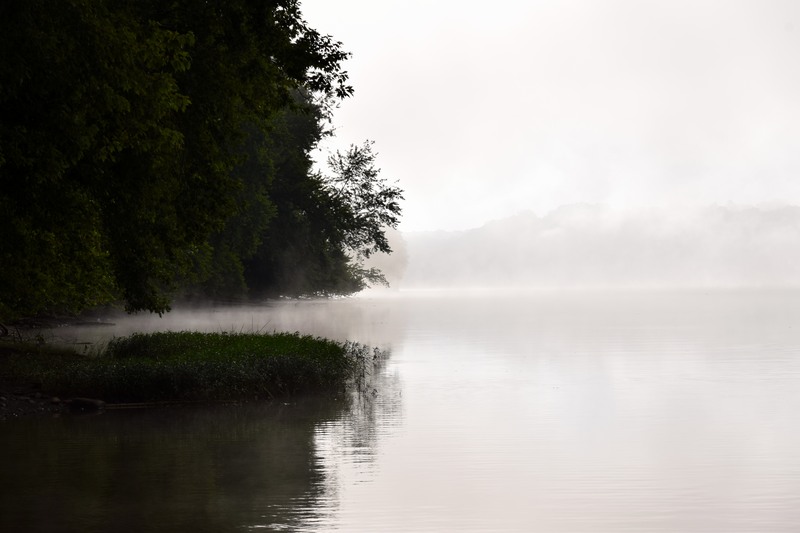 The early time on the river was covered with fog. However, the sun would quickly eliminate all traces of any fog in short time. We spent some time trying to entice the fish through surface casting and later deep water casting. 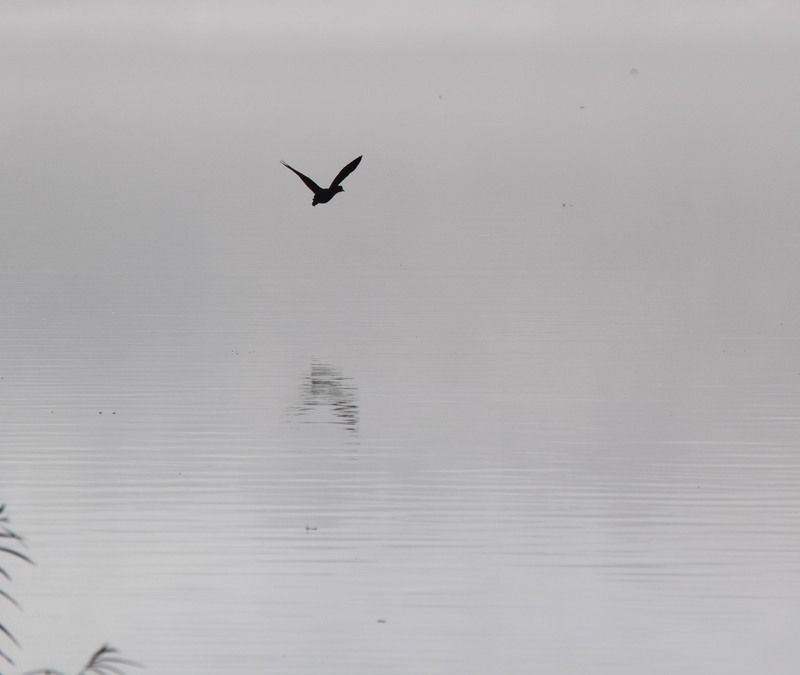 I would see one Bald eagle and a hen Wood Duck in the morning hours. Notice the trail of the mussel. Suddenly sometime after ten I the morning I felt the strike and set the hook! Wow! The big Muskie started the fight. The sight was beautiful as the fish leapt completely out of the water two times. I worked the fish finally getting the ‘ski to the side of the boat. Frank has a stick he uses to try to get accurate measurements, but it is not easy getting the fish to cooperate. I don’t know how he manages when fishing by himself. 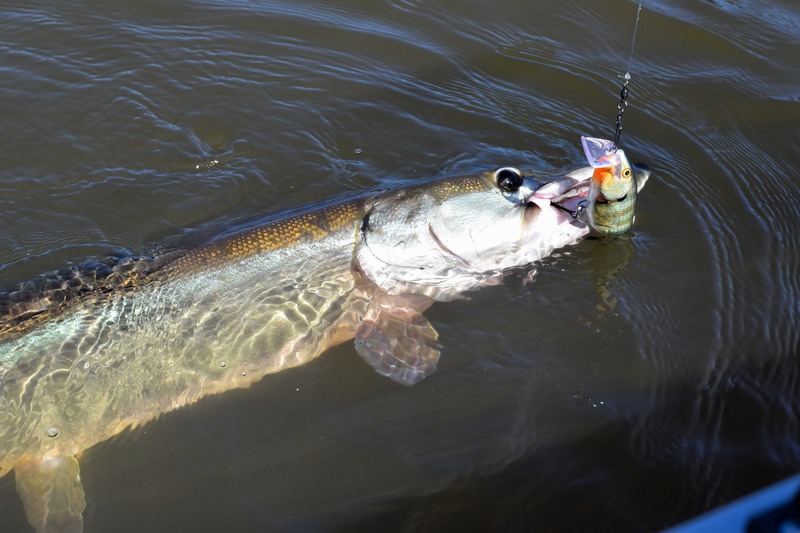 The Muskie was around 40-41 inches in length. We quickly remove the lure and release without bringing the fish onto the boat. this helps ensure the survival of such a grand fish. Later, we began trolling. An interesting fishing adventure was to take place during our trolling time. Frank said something was happening with my rod wondering if weeds gathered on the lure. the tip of the rod wasn’t appearing right. 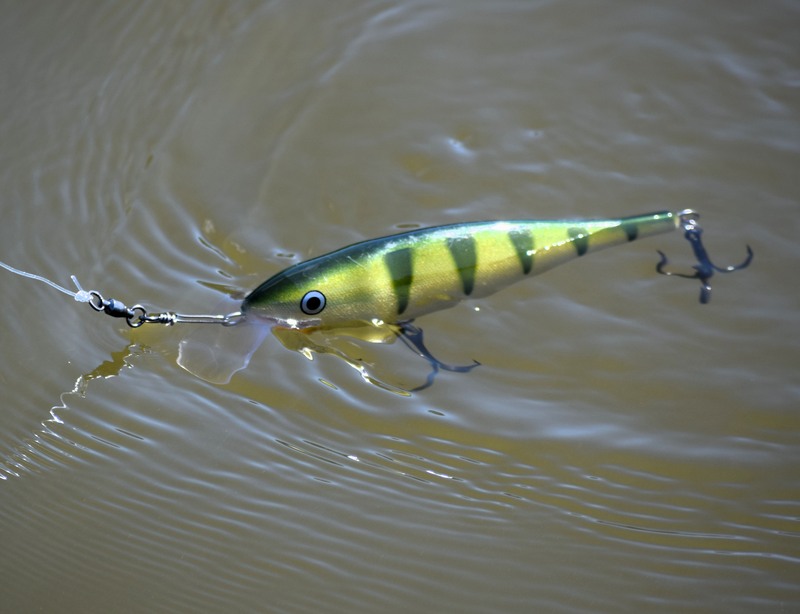 Normally, while trolling the action of the lure causes the rod tip to be bent and jerking. There was a distinct slack as Frank yelled fish. I heard the reel hum and reached for the rod . I felt weight and then nothing. 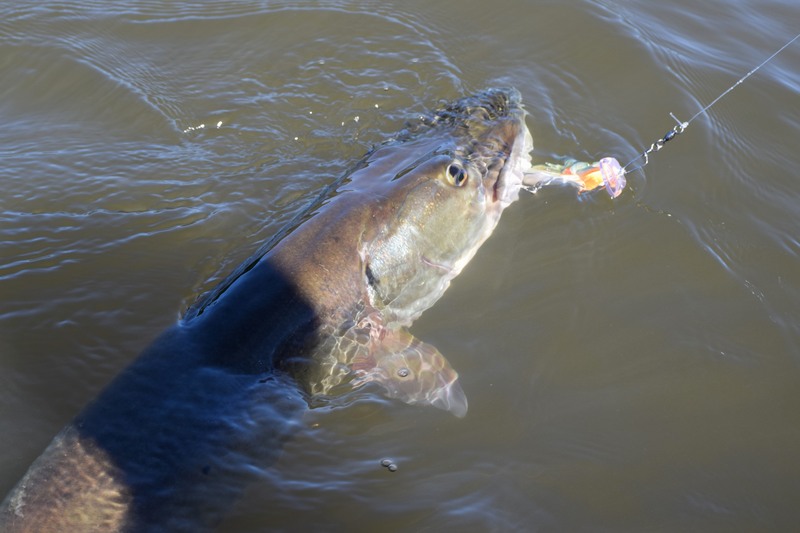 The Muskie had spit the lure out of the mouth. Frank said that fish had the lure and was swimming at the same speed of the boat hence the lack of action upon the rod tip. He had never experienced that fact before. 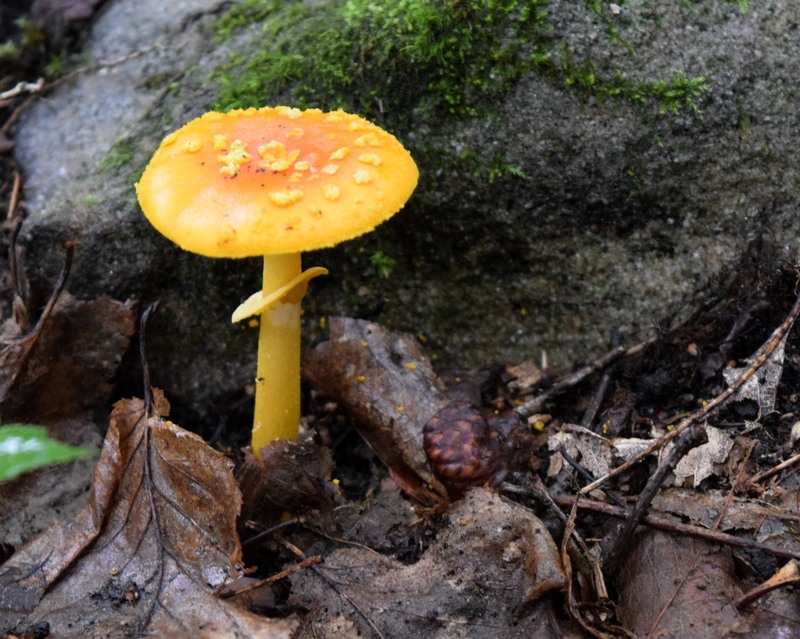 woodland floor. What defines this historical site are the carvings on many rocks. 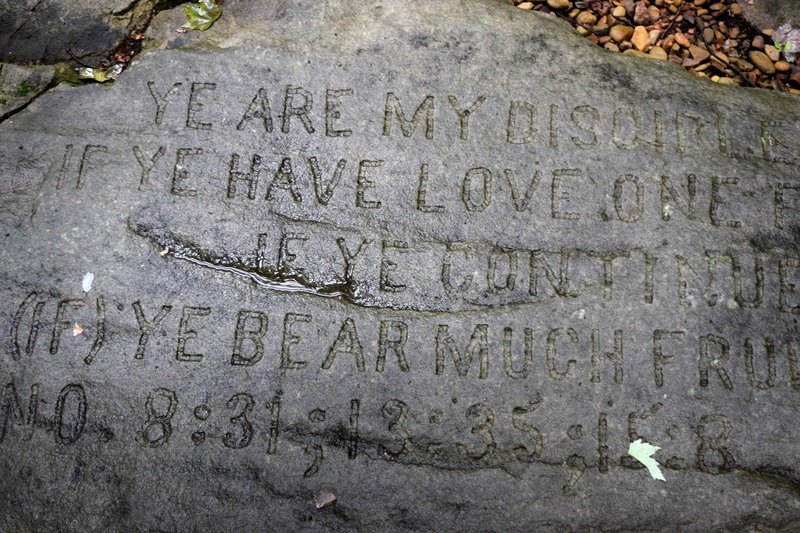 At least 65 rocks are inscribed with Bible verses, scripture and some rants from the man who committed to doing these carvings over one hundred years ago. 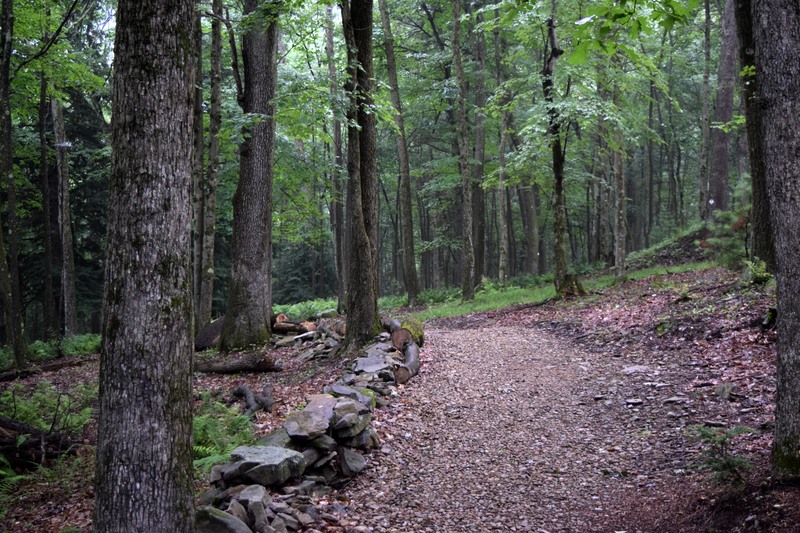 Laurie and I left early to walk the trails in order to beat the hot, humid afternoon conditions and the predicted heavy rains. We slowly walked the 1.2 miles of trails reading the rocks and pondering as to what possessed the man to carry on with such an undertaking. 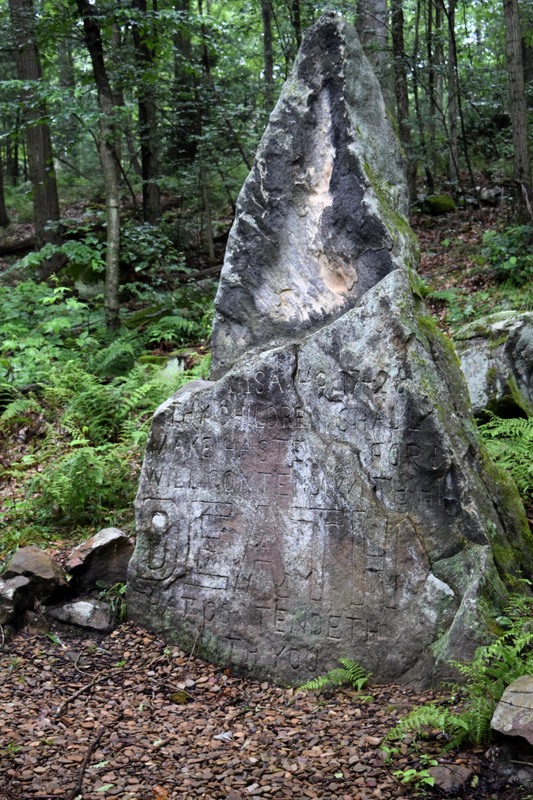 The man who did the rock carvings was Douglas Monroe Stahlman born in August 17th of 1861 in Jefferson county, Pennsylvania. He would be a teacher for a time. Later with his wife and family moved to Valprasis, Indiana. He became entangled in a scandal revolving around a religious movement of John Alexander Dowie. This would effect his entire life! The cult was called Dowism named after it’s founder. This sect followed a belief of healing by faith only. The founder declared war on the medical system. Douglas’ wife would become very ill with blood poisoning and when he returned from being away to find her under a doctor’s care ordered the doctor to leave. The wife would die because of her husband’s desire to use only faith healing on her because of the cult’s belief. He was jailed and deemed insane. His children would be taken from him. Mr. Stahlman returned to Brookville in 1908. He was a man who had, and would later, face hardships in his life but he held to his deeply rooted religious convictions. Later, he would attempt to court a local woman named Mary Gilbert. Mary did not want to be his wife. 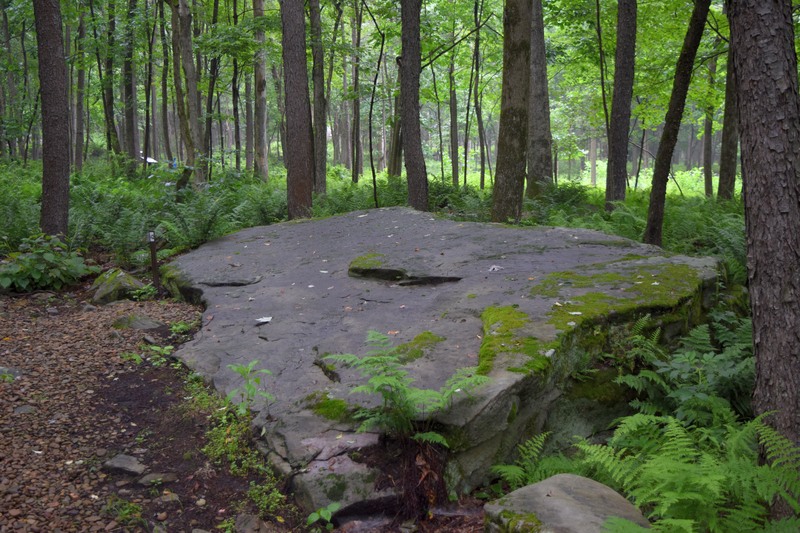 This would lead to carvings on some of rocks expressing some anger and frustrations. He would be inhabiting the woods and even had outdoor prayer services. Mr. Stahlman had a group of followers. 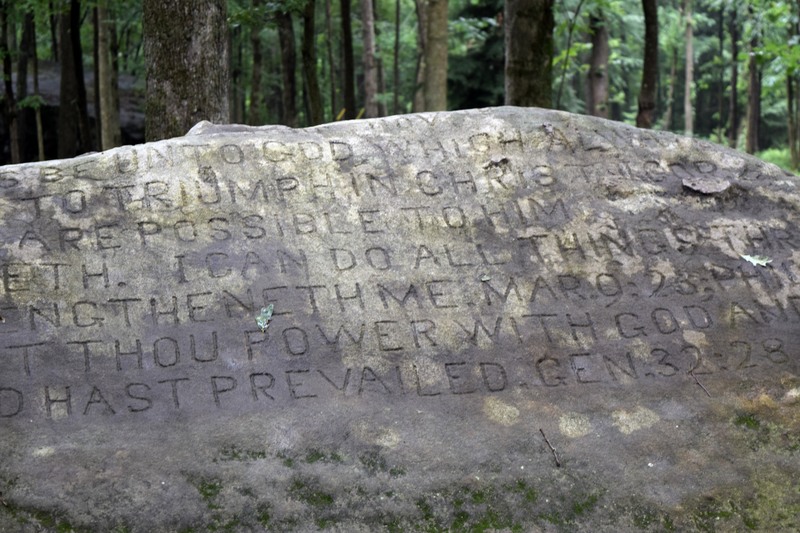 He carved words against a Methodist superintendent on some rocks. 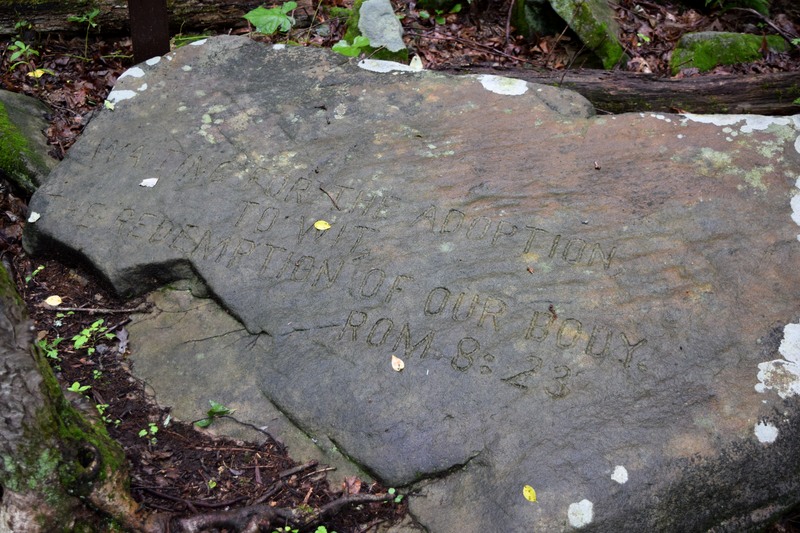 Rock surfaces with Mary’s name on were marred in an attempt to remove her name. Other interesting carvings featured big lettering with words such as: LOVE; HEALTH; DEATH; COURAGE: HOPE and others. These carvings were completed in 1912 and 1913. Some of the lettering goes up to thirty inches in height. At least 165 carved rocks have been found. However, prior to the carvings he had dedicated over 500 rocks. Douglas lived on site for sometime as well. As time went on Douglas would be again deemed insane and arrested and jailed in 1915. He escaped jail and was later caught again. He spent the remaining years of his life in the Dixmont State Hospital in Allegheny County. He died in 1942. Was Douglas M. Stalhman insane or just bitter. 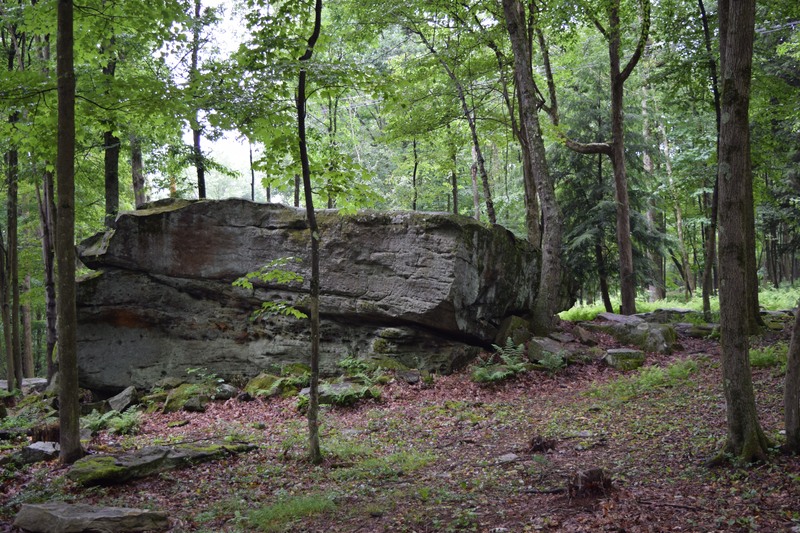 Probably, both insanity and bitterness would lead to his behavior with the rocks near Brookville. 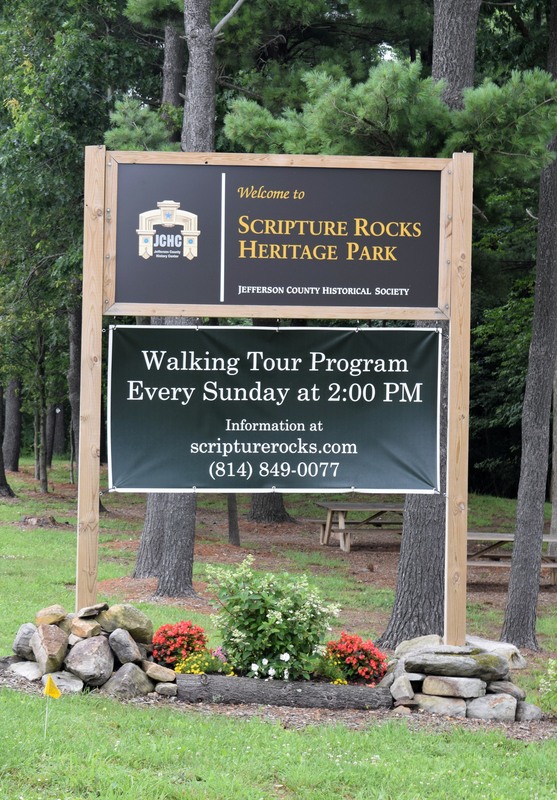 Scripture Rocks is located south 28 of the Interstate 80 at the Exit 81 exchange.